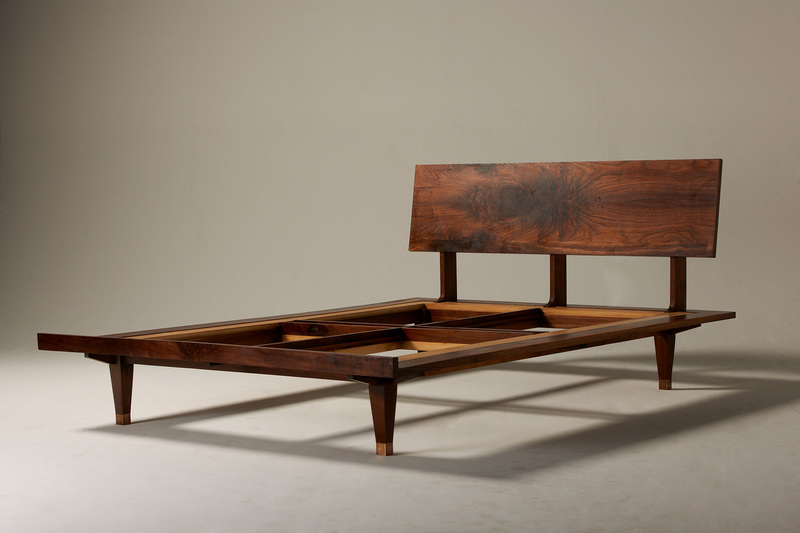 RC Bed in Walnut burl with brass caps. 12" Platform height. 32" Headboard height (removable).